How to buy Android tablets? Thanks to rapid innovation and development Android is the fastest-growing operating system and is competing with Apple's iOS mobile platform. With so many versions of the Android it is too difficult to judge and figure out the right type of Android Tablet for your specific requirement. 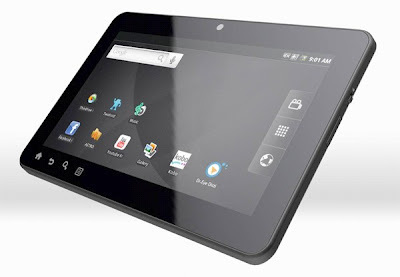 There are many good ways to judge and figure out the best Android tablet for your needs. Android keeps on changing; therefore it is must to update to new features and slightly changed new interface. Downloading updates makes your tablet working accordingly to the recent changes and updates. But when going to buy a tablet don’t expect all the changes to be updated on your device, you are about to buy. Even manufacturers do not update the software developments to the products at all. And this occurs due to the hardware restrictions. If a tablet lacks in hardware to run the updated and advance Android, he will rather stop updating it. And you will be compelled to buy new advanced tablet on expensive prices on advanced hardware. So it is best to go for the Android Tablet with the latest hardware to make sure your tablet will receive all the updates. In hardware first all of check whether it has a dual-core processor to boost the tablet speed. A dual-core processor with each core running at 1.2GHz will perform far better than a single-core processor clocked at 800MHz. For the size it is best to go for the bigger display and the tuned higher resolution, so everything would look sleeker and nice. However, bigger tablets tend to be lesser portable. A 7-inch tablet is the ideal choice for selecting a tablet. Quality of screen also matters a lot. The storage capacity should have an expandable memory through a microSD card slot to add an extra 32GB capacity.